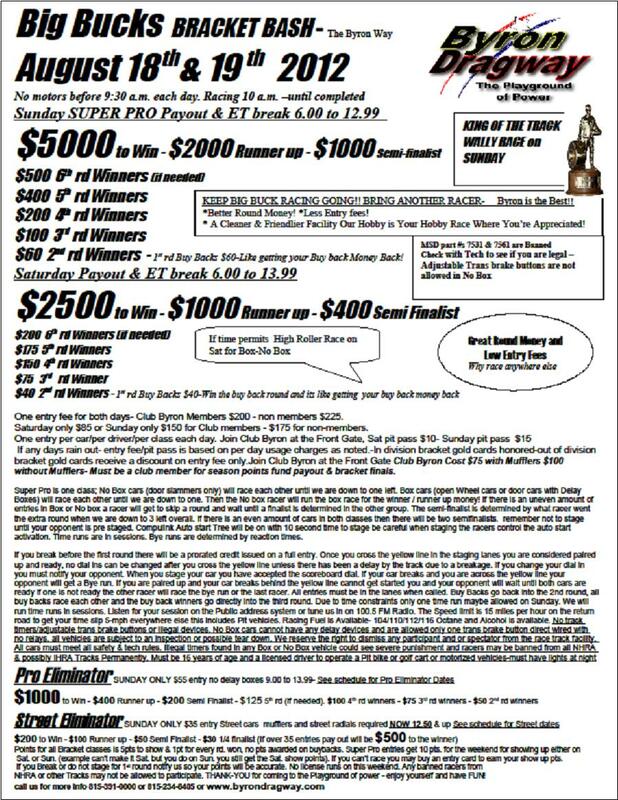 Byron, IL - The top prize of $100,000 will be awarded to the winner of Saturday’s race while $30,000 will be awarded to the winner on both Friday and Sunday. Registration for the Firecracker Bracket Nationals opens at 12:01 AM CT on Tuesday, January 15, 2019. Byron, IL - Byron Dragway announces their 2017 Big Bucks Bracket Bash Series schedule. With over $400,000 in total posted prize money, it is the world's richest track operated bracket program. The series features bracket racing in the Super Pro, Pro Eliminator, Street Eliminator, and Sportsman categories. 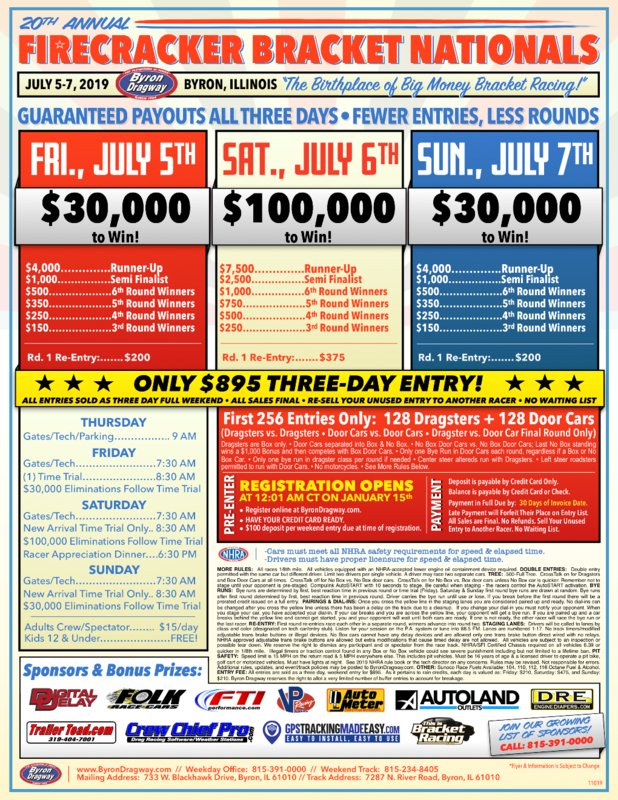 Byron, IL - This Saturday and Sunday Byron Dragway hosts their monthly Big Bucks Bracket Bash with $5,000 going to the winner on Sunday and $2,500 going to the winner on Sunday. Byron, IL - The 19th Annual World Power Wheel Standing Championships returns to Byron, Illinois this weekend at Byron Dragway. Saturday Qualifying with Sunday Main Events and Finals will offer great excitement for the whole family. 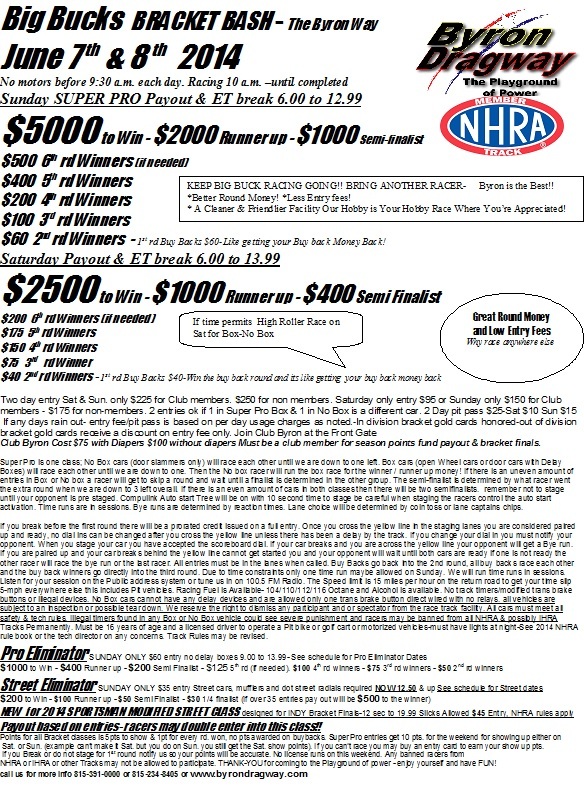 Byron, IL - Big Bucks Bracket Racing returns to Byron Dragway this weekend. 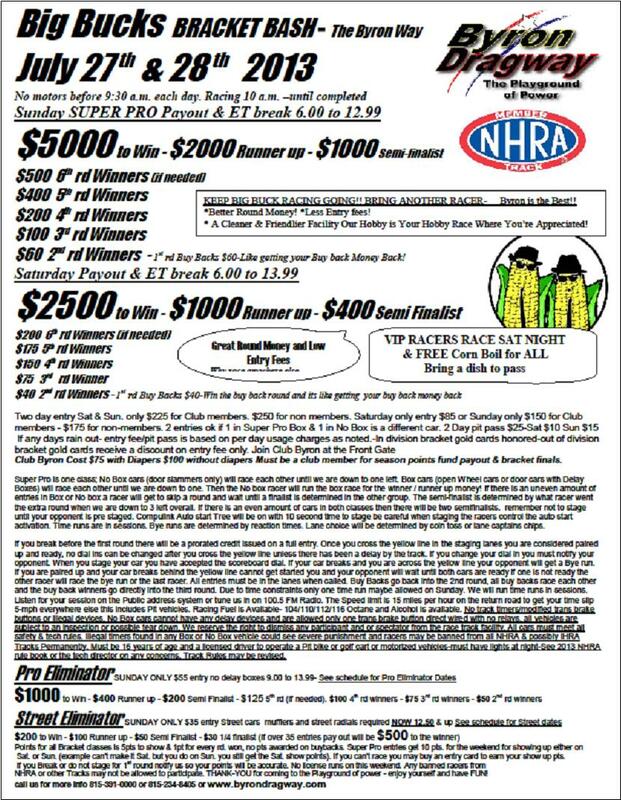 $2,500 to win on Saturday and $5,000 to win on Sunday! Win 2nd round and you get paid! 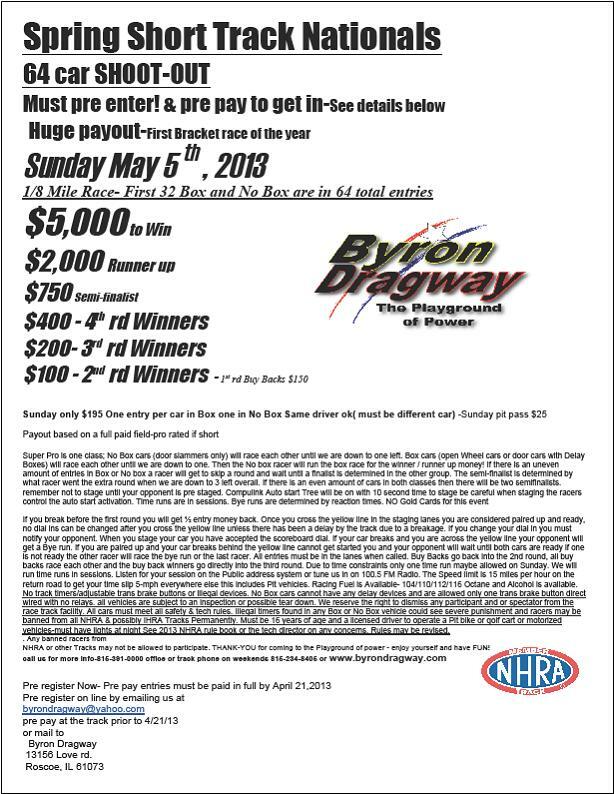 Byron, IL - 64 Cars will hit the track this weekend in Byron, Illinois as a pre-entry 64 car shootout for $5,000 will kick off the racing season at Byron Dragway. Click Here for more info. 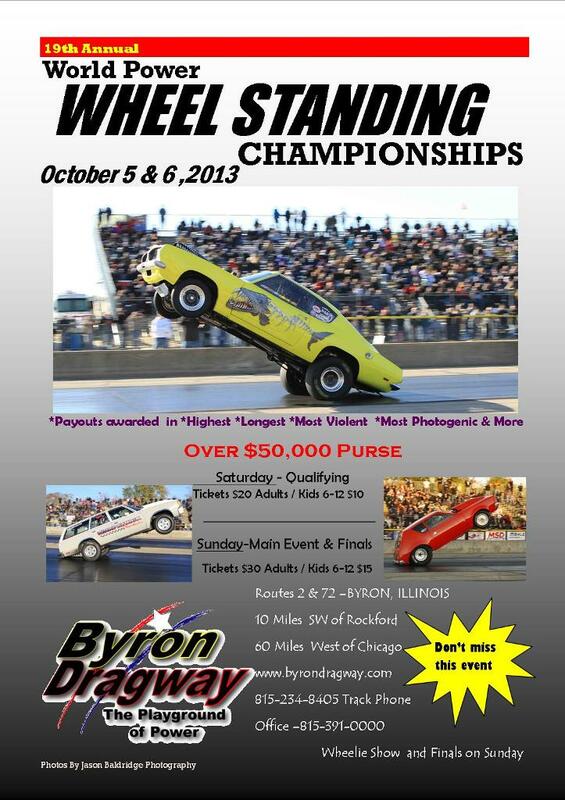 Byron, IL - We feel Brian will have more than what it takes to see Byron Dragway flourish in the near future. With Brian’s help and ideas for success, we will be able keep this facility in top notch quality. 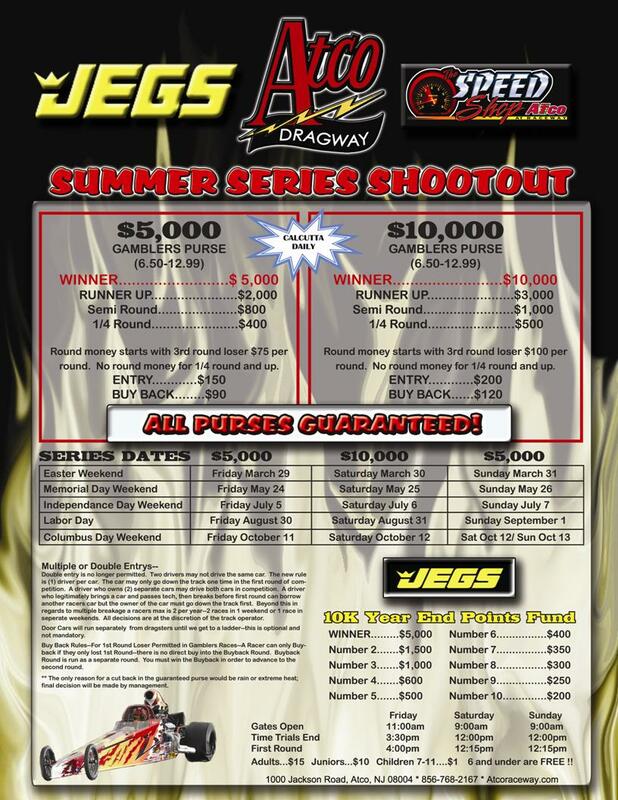 Byron, IL - Big Bucks bracket racing returns for August to Byron Dragway this weekend. This weekend also features the NHRA King of the Track Wally race on Sunday. Better Round Money than most with a low entry fee. Byron, IL - Big Bucks Bracket Racing returns to Byron Dragway this coming weekend with their monthly Bracket Bash Series. 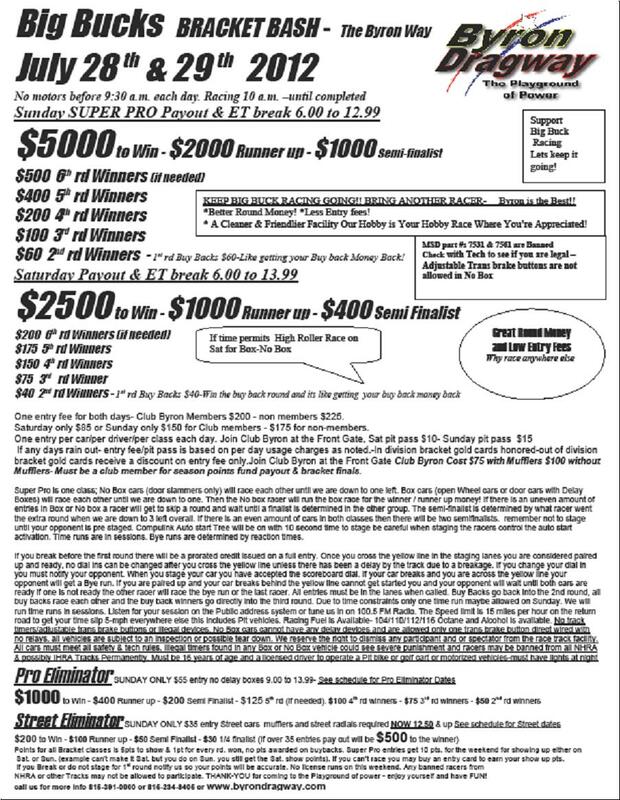 Sunday's Super Pro Payout pays $5,000 to win.